Tired of stepping outside your home into the front or backyard only to see your neighbors "Sanford & Son Junk Yard" staring you in the face? Or maybe you're looking to buffer wind or the noise coming from a busy road adjacent to your property? 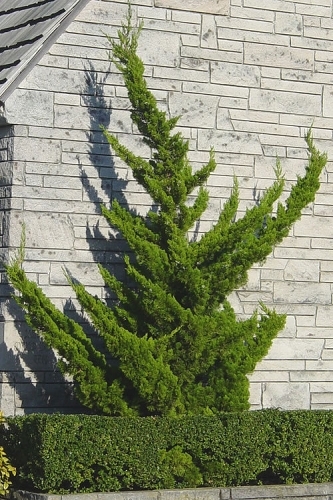 If so, it might be time to plant a screen using evergreen plants or trees. 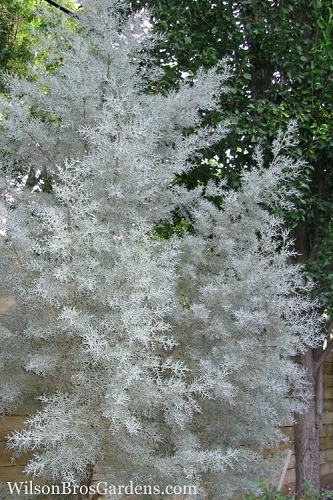 Installing a screen planting often requires the purchase of many plants or trees bought all at once. So, selection of the right plants from the very beginning and proper design can make all the difference in whether or not the screen planting meets your needs. The cost of a screen planting is usually less expensive than building a fence or wall, and you can create a much taller visual screen or wind and noise buffer with trees than you can a fence. 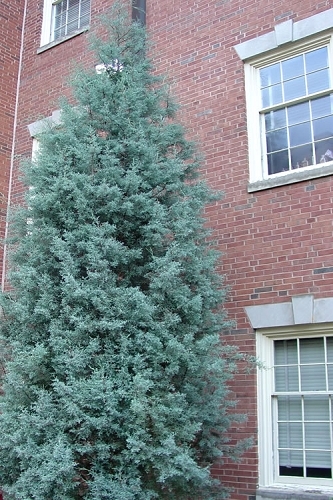 Many evergreen trees will grow to 50 feet or more in height. Too, we often erect a fence or wall only to then block or cover it with plants and trees! Is the planting location in full sun or shade? How tall will the screen need to be to create the privacy you want? Will the area have a formal or relaxed design? Will the screen planting cover a large area or a small area? How quickly do you want the screen planting to grow and fill in? 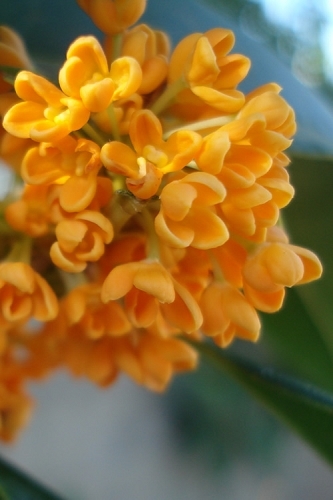 Do you want your screen planting to be low maintenance? Do you want your screen planting to be evergreen? 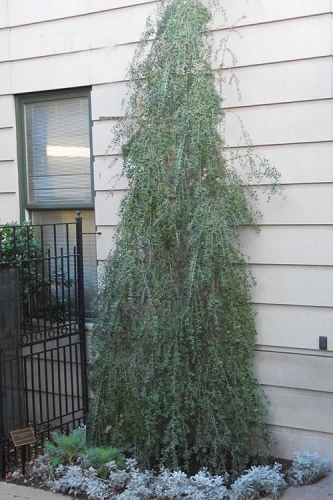 In the past, privacy screen plantings have typically been composed of only one kind of plant or tree. 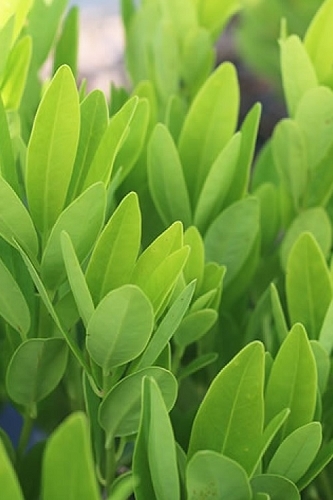 However, though easy to implement, using only one type of plant can create the perfect condition for the rapid spread of disease. 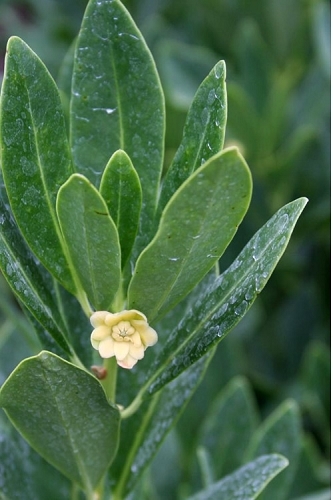 A single infected plant may spell demise for an entire row. 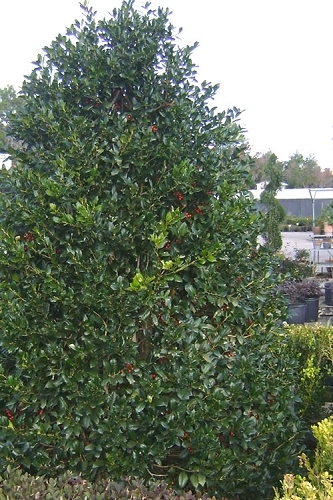 This is what happened back in the 1980's with the Photinia x fraseri, commonly called red tip, which had become one of if not the most popular plants for use in privacy screen plantings in the southern tier of the United States. 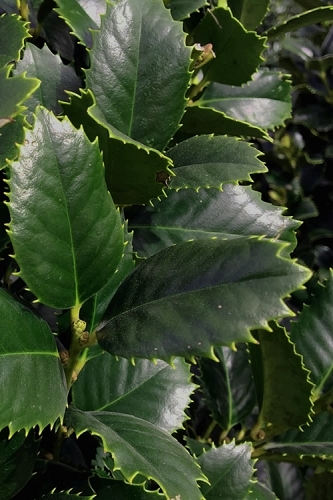 Because people planted these large growing shrubs too close together, which trapped heat and humidity inside the plants, an incurable leaf spot disease developed and decimated red tips all over the South. For those who had mixed plantings, not all was lost. So, it's time to learn from our mistakes and implement change. 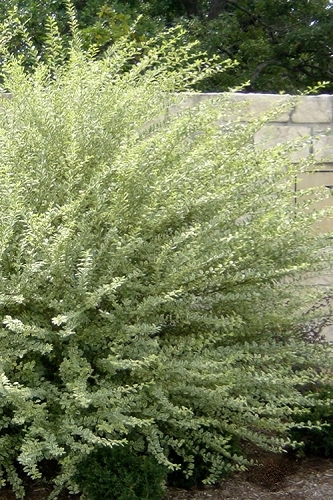 An ideal screen will consist of a variety of plant types. While this may not be the best approach for formal plantings, it is quite suitable for most other landscape styles. 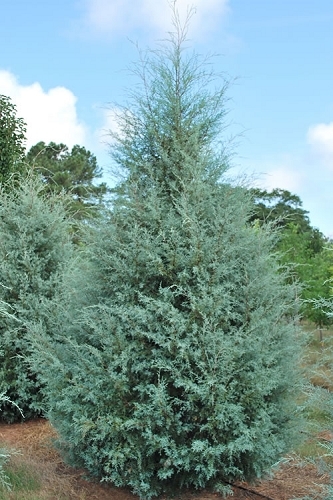 Imagine how interesting and natural a mixed row of cedar, cypress, junipers, hollies, magnolias, pines and various other evergreen plants and trees would look compared to a row of all the same plant or tree. That said, the choice of plant or plants you use to create your privacy screen is yours. 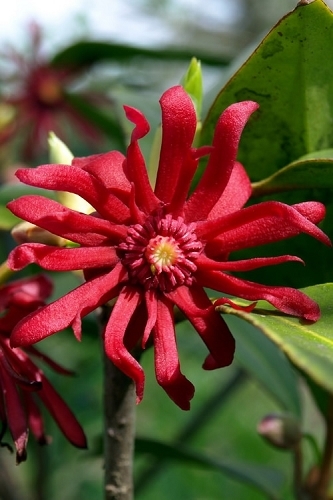 Note: To help when plotting your plants on the design, make a list of the plant varieties you'd like to use in your screen planting, noting the width at maturity of each variety. To properly arrange the plants that will go in your privacy screen planting, and to determine how many plants you'll need to complete the project, I highly recommend drawing a design before grabbing some plants and a shovel. Your design should be drawn to scale, such as 1" = 10'. This means that every inch on your paper equals 10 feet in the landscape planting area. To draw the design, all you need is a sheet of paper, a pencil, and a 12-inch ruler. A compass or combo circle template (pictured below) is a helpful tool to plot plants on your design. 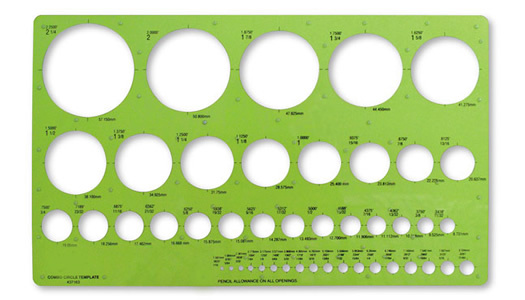 Most office supply stores carry design templates or you can find one online by searching "combo circle template." Tip: Alternatively, you can make the design even easier to draw by using graph paper. If so, each small square on the graph paper can represent or equal a measurement such as 4 or 5 feet in the planting area. If drawing on paper isn't your thing, search for a free online landscape design tool. Before drawing your design you'll need to get some measurements of the planting area. Use a measuring tape to measure the length and width of the planting area. Using your pencil and the 12-inch ruler to plot the planting area to scale on your paper. If your planting area is a rectangular shape 90 feet long and 20 feet wide, and you're using a scale of 1" = 10', then your length line would be 9 inches long on your paper and width line would be 2 inches, as shown in the illustration below. Now you're almost ready to plot the plants on your design. The distance you'll space the plants in your screen planting will depend on how wide the plant grows to at maturity, and how you choose to arrange the plants in the planting area. 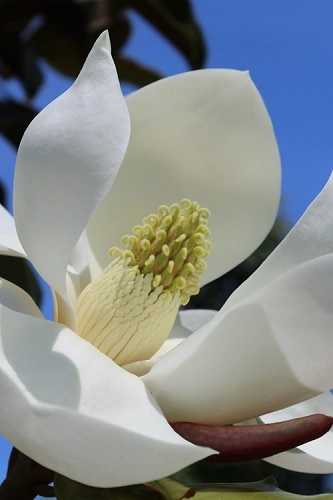 You can plant them in a single row or a staggered double row, and a straight or curved pattern. More on that below. 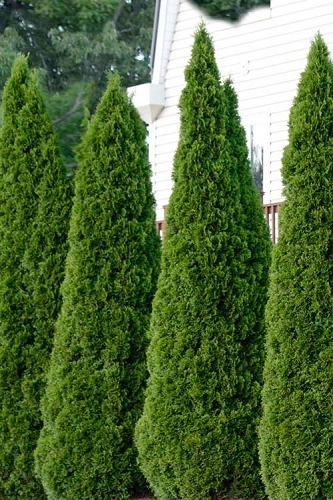 Note: If the plants or trees you intend to use in your screen planting have a pyramidal habit of growth, being much narrower on the top than bottom, they will not create a solid visual barrier to their full height when planted in a single row that is spaced properly. Therefore, if space allows, I always recommend planting a staggered double row when using pyramidal shape plants or trees. More on the benefits of a staggered double row planting just below. If you are planting your plants or trees in a single row, to avoid development and spread of disease and root competition for soil and moisture, space plants slightly closer together than their listed width at maturity. 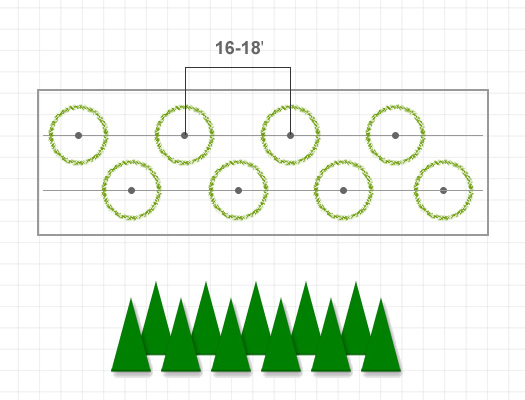 For example, as shown in the illustration below, if the listed mature width of a plant or tree is 10 feet you can space the plants at 8 to 9 feet apart on center; from the center of one plant in the row to the center of the next plant. 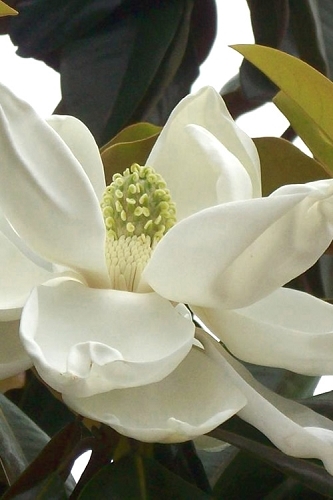 For a plant that grows 20 feet wide, you would space them 16 to 18 feet apart in a single row. 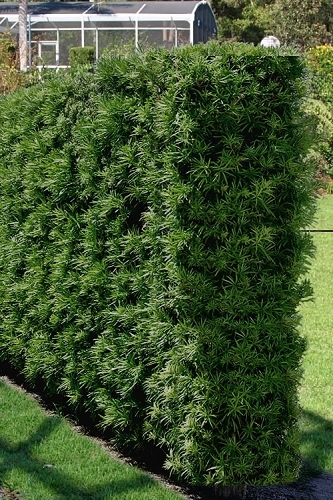 If you plant two staggered rows of the same or similar sized evergreen plants or trees, you can space the plants further apart in each row and still achieve a solid screen. As mentioned, I recommend staggered double row plantings for plants that have a pyramidal form. 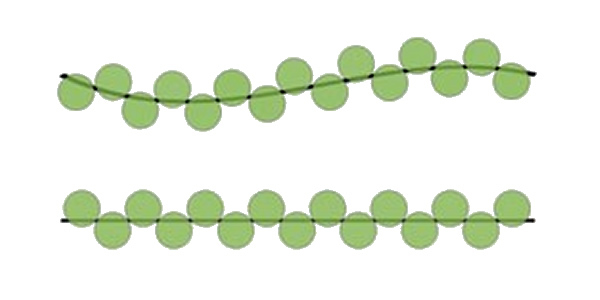 For example, as shown in the illustration below, if the listed mature width of a plant or tree is 10', in a staggered double row planting you can space the plants in the same row at a distance of 18 feet apart or less (even down to 8-9 feet apart) on center, creating a quicker, more solid screen than with a single row planting. Space the back row at a distance behind the front row that is slightly less than the mature width of the plant, which would be 8-9 feet for a plant that grows 10 feet wide at maturity. Stagger the plants in the back row between the plants in the front row, as shown in the illustration below. Note: If you'll be mixing things up by planting many different types of plants that mature to various sizes, design and spacing can get tricky. If you don't want to take on doing the design yourself, consult with a reputable, local landscape designer. 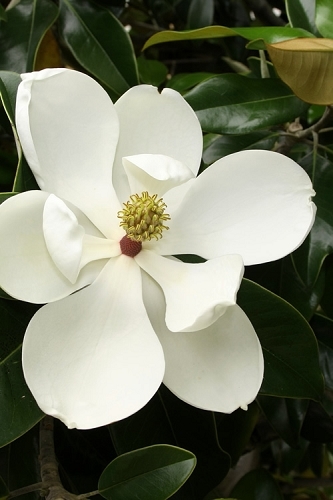 A screen planting design shouldn't cost much and an experienced designer will know just the right plants and trees to use for your screen planting. Just be sure to check references before working with any contractor! Instead of planting in a straight row, for a more natural effect, consider planting your screen plants in a curved pattern. When space is available, and when not designing for a formal look, I always opt for curves. 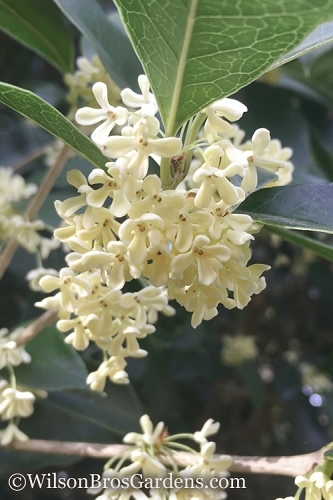 Note: Before selecting plants or trees for your screen planting, make sure they are one's that grow well in your environment, specifically in your USDA Plant Hardiness Zone. 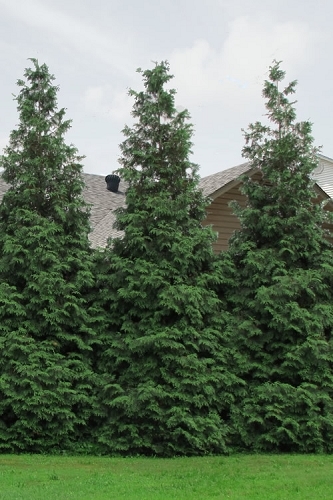 If your plan is to cover a large area, and your intentions are to permanently block an unsightly view, noise or wind, it will be necessary to select larger growing evergreen screen trees. 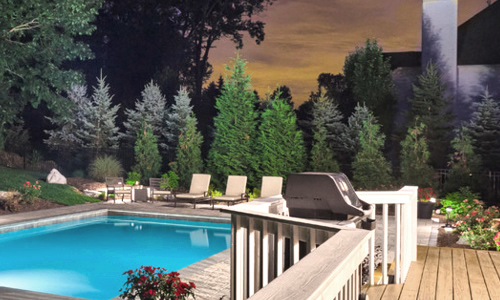 Some screening situations may require less height, such as under power lines, a divider between houses, a screen for privacy around a pool, screening from the street, or to block off an ugly tool shed or other smaller structure. 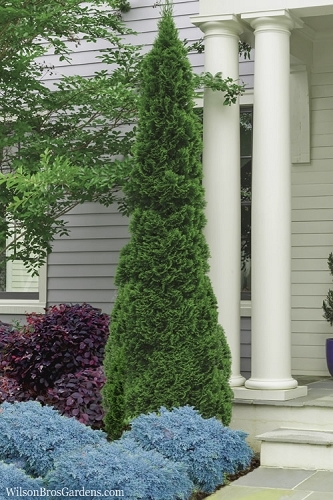 As with larger screen plantings, make sure to space plants properly, preferably in a staggered row pattern. 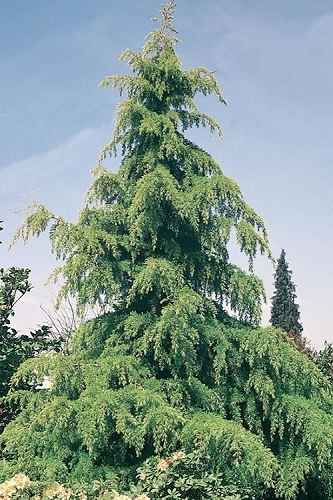 Avoid those "super fast growing" poplars and other plants and trees you see in mail order catalogs. Plants or trees that grow at such a fast rate are more often than not very short-lived. 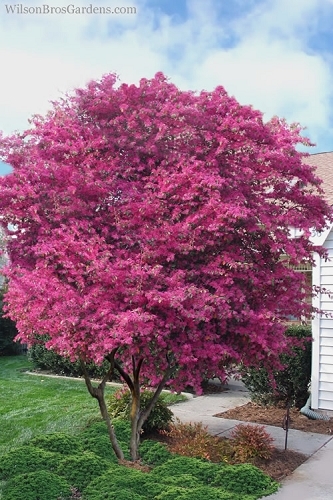 Before choosing trees for your screen planting, take a look around your to see what plants and trees your neighbors or others nearby are having success with in their screen plantings. 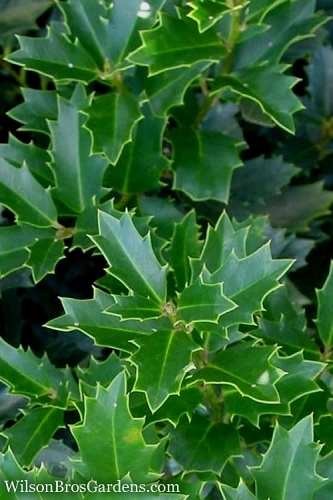 If you want a visual barrier during winter, it's best to go with evergreen plants, which keep their foliage year round. 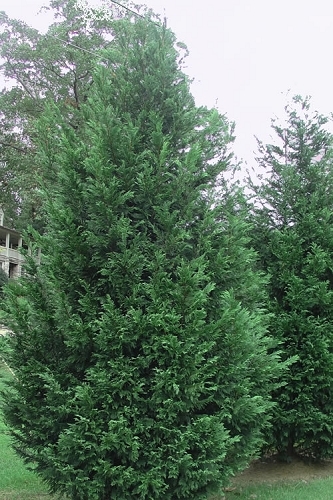 Depending on the type and level of noise, it may be necessary to plant more than a single row of evergreen trees to sufficiently reduce noise to acceptable levels. 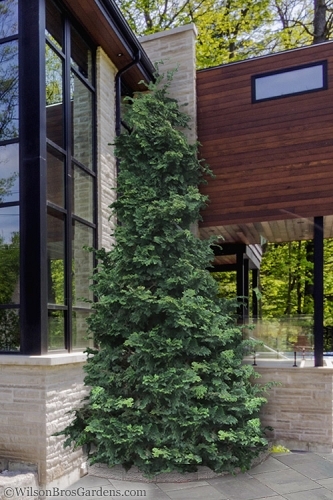 For a narrow space, where depth is limited, narrow, columnar evergreens such as Italian cypress, Sky Pencil Holly, Degroot's Spire Arborvitae or Podocarpus are ideal. If you don't want to take on doing the design yourself, consult with a reputable, local landscape designer. 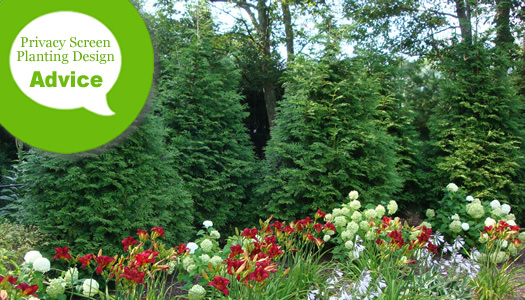 A screen planting design shouldn't cost much and an experienced designer will know just the right plants and trees to use for your screen planting. Just be sure to check references before working with any contractor!